Coconut Milk Ice Cream is one of our favorite summer treats. Just like with smoothies, the possibilities are endless! frozen peaches, about 3 lbs. Combine all ingredients and blend. We use our Vitamix, of course–it’s perfect for recipes like this. It will get very thick, so be prepared to use the tamper to push the frozen fruit down into the blades. This recipe makes enough for 8-10 people, as it’s very rich. For a smaller crowd, just decrease the amounts. It’s a great dessert for company; as I mentioned above, everyone who’s tried it at our house–sugar free or not–has raved about it. Tip: when planning to serve it to dinner guests, you can place all ingredients except the frozen fruit in the blender prior to dinner. Then, as everyone is finishing up the meal, throw the fruit in the blender and blend. Voila! Dessert. Leftovers can be frozen as popsicles or in ice cube trays to be used in future smoothies. 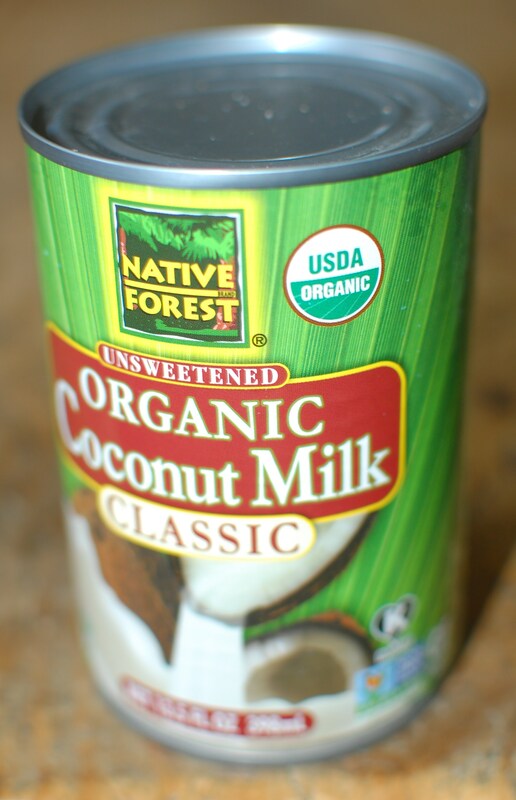 Native Forest is our favorite brand of coconut milk. Frozen Strawberries: follow directions above, using strawberries instead of peaches. Frozen Blackberries: follow directions above, using blackberries instead of peaches. Mint Choc. Chip: see below. Let me know if you have another great recipe or flavor combo!